Ega Master Refinery Pipe and Valve Wrench | Repair Management Nederland B.V.
New EGA Master refinery pipe and valve wrench allows operator to use just one tool for several operations (grip, hit and open/close valves). It reduces the weigh carried by operator and reduce tool investment. 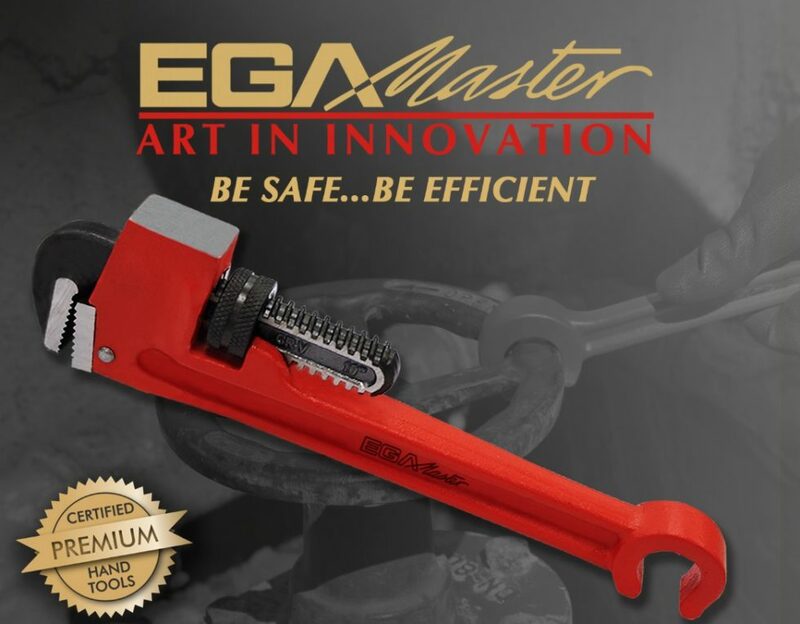 EGA Master refinery pipe and valve wrench is specifically designed for most exigent applications, as in refineries, petrochemical industry, gas and petrol pipes,.. and always thinking of operator´s benefit. Besides a forged movable jaw with quick adjustment system, this wrench is the only one in the world that includes, not only open/close valve function, but also a hitting surface.